“Sixteen workers are killed a day in the United States because of reckless negligence on the part of their employers,” according to a new Web site. A five-minute video profiles two workplace fatalities where companies paid relatively small fines and didn’t face criminal prosecution. The group’s message: Companies would rather pay low OSHA fines rather than spend more money on worker safety. allow OSHA to pursue criminal charges against a company for an employee’s death, including fines and up to 10 years in prison for owners and managers. Criminal penalties for serious bodily injury to an employee could include up to five years in prison. increase OSHA fines every four years for inflation. What do you think of 16deathsperday.com’s message? Let us know in the Comments Box below. This is nothing more than a way of increasing the monies from fines. Being in safety 35 years with 12 years as a Federal OSHA Investigator I’ve seen administrations come and go you can pretty much summarize what’s going to happen whether it be a Democrat in office or a Republican. The trouble with this administration is you have a Democrat in the Whitehouse and a Democratic Majority in the House and Senate. This has not happened for many many years so watch out. This is a perfect scenario for an agenda that can go completly crazy since we have no particular checks and balances that will keep things in line or should I say practical. Believe me the Democrats love fines and jail sentences because all employers are the “bad guys”. Republicans love “partnership” programs along with extensive educational programs. My problem with this latest article is go ahead and deal with the so called “bad guys” but to those of us who try to comply with all the mandates by all the agencies it can be a nightmare. Believe me…I’d rather be out there citing people again than trying to comply with all this bull. Repeat Citations to 120,000. This is garbage. I’ll give you an example. We work all over the country and had a trench that was 5ft. 7in. deep and cited for not using trench box…blah blah. A year later in another part of the country we were cited for a slope along the outside of building structure a foot short on the sloping requirements. We were not negligent. We’re not a bad contractor but because of how the OSHA law is written OSHA can cite you with a Repeat or Willful because..basically because the second violation was in the Trenching and Excavation section of the regulations. Doesn’t have to be the same regulation…anything similiar that can be applied by the officer will be used against the employer. Again we’re not a bad contractor we made a mistake even though we spent 200,000 dollars in training this past winter with frequent jobsite inspections by the Safety Manager on all projects. Now it looks like we’re a bad contractor and are having a hell of a time explaining these damn citations in our pre-qualification bid packages to owners, construction managers and general contractors. Just because you are cited does not mean you’re a loser company but trying to explain this is disasterous. The best programs OSHA ever implemented was the Voluntary Protection Program (VPP). This particular program has heightened the awareness of an employer’s responsibilities and made for a constructive working relationship with a federal enforcement agency. Very rare. The current administrations attitude of “Cite-em” “throw them in jail” is very defeating and is nothing but “Big Brother” getting bigger and more intrusive in our lives. Their feelings are “We know best” how to keep you all in line so listen up and fly right”. If it wasn’t for all the labor unions in bed with the current administration we might be able to have some practical and logical enforcement. Why labor unions just go along with all this is amazing to me. Especially when you have 99.9% of the contractors out there who really do try and do the right thing. You don’t have to “SCARE” them into compliance. We’re trying our best to keep employees safe and have them return home every night to their families. It’s just so typical of Federal Enforcement Programs. The lack of clear, sustainable, and vertical, OSHA standards cannot be followed exactly no matter how much they raise the fines. Higher and higher fines only slow down the process of meeting the ever changing and varying OSHA regulations. Well, the government has to pay down the deficit somehow! This organization was started and is headed by political activists and movie producers who make movies bashing capitalism. The items below were taken from their bio’s on their web page. producer, director and political activist. (including Amnesty International, MoveOn, True Majority, and Voters For Peace) organized healthcare workers in a democratic, worker-led union, and served as Executive Director at DrivingVotes.org in the 2004 election. The 2008 preliminary count of 5,071 work-related fatalities represented a 10 percent decrease from the revised total of 5,657 fatal work injuries reported for 2007. More work-related fatalities resulted from transportation incidents than from any other event. Highway incidents alone accounted for almost one out of every four fatal work injuries in 2008. Workplace homicides have declined over 50 percent since 1994. Fatal falls are at their lowest level since 1995. Highway incidents declined from 1,414 in 2007 to 1,149 in 2008. This is just another liberal attempt to pick the pockets of businesses in the US and to give more power to an already overpowered government. Work-related deaths are down and work related injuries are down, so why do we need this? I agree any death per day is unaceptable. No matter how much you go after the employer it will not change the out come entirely. Direct fines to employees will help, An employer spends a lot of time and money training and providing for a safe work enviroment. If the employees do not participate by following the rules then the employee needs to be fined. I think OSHA should find ways to help the employer prevent such situations. The best practice I have seen so far is OSHA doing partnerships with employers and trade groups. I agree any death per day is unacceptable. No matter how much you go after the employer it will not change the out come entirely. Direct fines to employees will help; an employer spends a lot of time and money training and providing for a safe work environment. If the employees do not participate by following the rules then the employee needs to be fined. I think OSHA should find ways to help the employer prevent such situations. The best practice I have seen so far is OSHA doing partnerships with employers and trade groups. I thnk OSHA once had a system in place back in 2000, that congress tossed out, because the business community could not withstand the cost of training and compliance. Oh our wonderful government! Make English as the official/national/mandatory language…..getting translations in every off shoot language (including Spanish) is nuts to get everyone trained. It kills small employers and oh by the way the country has more small employers than the big ones. In my experience (and granted, we’ve never had a death as a result of an accident in my workplace), OSHA rarely issues the maximum fine anyway. In fact, in most cases they lower the fine in exchange for quick abatement of the issues. So what good does raising the maximum fines do if they often don’t hit the current maximum anyway? Again, I have no experience with workplace accidents resulting in death, so I’m really only speaking to the raising of the maximum fines (as outlined in proposed legislation and/or OSHA/Obama administration comments) for other violations. As for the 16deathsperday.com’s message, 1 workplace accident a day resulting in a death is too many – but are all 16 deaths a day really a direct result of employer negligence? Or is it possible that sometimes people don’t follow the rules, despite all of the training and safeguards put in place? The whole tone seems off putting to me. When I read something that immediately paints ALL employers as recklessly negligent and automatically retaliatory in nature, I have a hard time giving any credence to their message because generalizations like never hold absolutely true. Not all employers are looking to take advantage of employees. All in, something more needs to be done to reduce workplace deaths – I’m just not convinced that the Protecting America’s Workers Act is the answer. Time will tell, I guess. There are mixed emotions about this subject and one question seldom asked when dealing with safety issues or the neglect of such issues is, “What is the ultimate loss?” We have to remember that we are living in a society where the government is standing by, waiting for any excuse to grab more power in our daily lives. Yet, what OSHA is trying to do is save lives. When companies use the mindset that they would rather pay a fine than improve a safety issues leaves the door wide open for the government to step right in. When this happens, any agency of support gains more strength, thus will always be around. They become a necessary evil (not saying OSHA is evil). However, I would rather the necessary evil than the alternative, Death! What a bogus article from a bogus group. If they did their research they would discover that well over 50% of “workplace” deaths are motor vehicle accidents but count as “workplace” because the people killed were on the job while they were driving. For the past several years, actual workplace deaths have decreased. This is just another liberal activist group intent on harming capitalism and free enterprise. Well, that was very helpful…. Clearly these folks are putting things in the worst possible light in order to advance their cause. And many people who are not in our profession will believe every bit of it. But we know (or should know, if we’ve been paying attention) that there is plenty of blame to go around for the lack of improvement in worker safety. Starting with the politicians who control OSHA’s funding, then on to employers who spend more time and money trying to avoid compliance than they would in simply complying, followed by a few bad-apple OSHA inspectors, and finally by the huge volume of workers who simply refuse to obey safety rules, and are then the first to scream for a lawyer when they inevitably get hurt. Yup, plenty enough blame to go around…. I would reiterate what was said before, that the majority of instances are employee choice and employers spend more time enforcing safety. There is a far larger challenge to get the employees to be accountable then there is for the employer, there are also huge issues with legislation that all too much support injury claims which bring on numerous false claims against employers and many systems do not work to prevent this, so you find more employees exploiting the system further. How can you press criminal charges when an employee still has choices and is empowered to make sure safety is part of their workplace. Going after employers as proposed is not the answer or a means to a change, especially if that proposal threatens jobs in the future. Safety needs to be reiterated as everyone’s individual responsibility as much as it is collective. Accountability is on all levels and is not only the employers to bare. Having spent 35 years in utility construction I can tell you that many employers have good safety programs. They spend hundreds of thousands of dollars in training, safety audits, and safety equipment. Almost all of the root causes to accidents, incidents, and near misses can be directed to a violation of a safe work practice. I have found that upper management supports safety and the breakdown is in middle management. In our business, the foreman and general foreman are members of the local union along with the rank and file employee. They have a tendency to have the same mind set of the employee when it comes to complacency regarding the safe work practices and refrain from enforcing the standards in the field. The employer relies on field management to correct, train, coach, and displine violators, however it is rarely done until an accident occurs. Audits from the professional safety staff member in the field usually identifies the concern, makes corrections in the field and reports it to upper management. Things change for a while, but old habits return and the cycle begins all over again. Solution, make people accountable, do followup audits, communicate expectations and take appropriate disciplinary actions, including termination when necessary. OSHA considers the foreman and general foreman to be the employer and takes action souly against the employer (business/company). I have never seen an employee cited even though the person is qualified and has all the necessary training, skills, and knowledge to do the job safely, but chooses to violate the standard. This may be to take shortcuts or the employee believes the risk is minimal or they can work around the hazard without getting hurt. Real change will only come when the employee’s role in the accident is also considered and has OSHA consequences. I believe the employer must be held responsible for every incident, however there needs to be consequences other than termination for the employee that willfully ignores safe work practices when an employer has done everything reasonable to ensure a safe work environment for it’s workers. With union workers, they leave one employer and go to another and at times working for the customer that the former employers has a contract with. The pool of union workers for a number of contractors comes from the same hall and even under termination for a safety standard, that employee is on the job within a few days, just with another contract employer. I believe that this could be very effective legislation, so long as the penalties (fines and / or criminal) are not set in stone. In other words, there is a vast difference between, as Jason says, workers who disregard safety measures that responsible employers have put in place for their protection, versus workers who are placed in harms way every day by employers who have a complete disregard for their workers welfare, or worse, knowingly place their workers in potentially harmful situations with the idea that “If something happens, we’ll pay the fine and deal with it then”. And it’s very easy for many of us to say that the workers in the second example should just ‘report the employer, or get a different job’. When that is your livelihood and you’re told to man-up and do it (whatever “it” may be) or clock out and go home, people generally will tend to comply in order to protect their job. They just keep their fingers crossed that ‘nothing’s happened so far so I’ll probably be OK’. Whoops – dead or injured employee! Employers who can be found willfully negligent in an investigation should be subject to harsher penalties than those currently available, just as a drunk driver who gets behind the wheel and kills someone should be, versus an unfortunate traffic fatality where pure circumstances are at fault. Injuries and deaths will continue to occur in the workplace, often through no one’s specific fault, so there should be lesser penalties for those cases, while negligent employers should be held fully responsible. Let the time (and the fine) fit the crime. As a safety consultant and OSHA Outreach trainier for 30 years, I am finding an increasing number of cases where workers ARE involved in unsafe acts, but are unaware of it when I confront them. This is the employers fault since it is the employer’s responsibility to train their workers on the proper safe manner to perform the task. In North Carolina where I live, I am aware of at least four deaths in confined spaces (manholes) at construction sites in the last 10 years. The average fine was $1200. Are you kidding me, $1200 for a person’s life! As far as I am concerned, if you own a construction company and fail to train your employees never to go down a manhole unless there is air monitoring, and attendant and some means of rescue, and you kill someone, then you should be charged with criminally neglegent homicide. To the guys that preceeded me: You may be right that all 16 cases will not be the employers fault but if you do a root cause analysis, I’ll be that at least 15 of 16 are the employers fault. I agree that OSHA can be at times vague as to how to work safely but there is something called the General Duty Clause that requires the employer to provide a workplace free of all recognized hazards that are likely cause death, serious injury or illness. Its up to the employer to figure out what the hazards are and how to control them…they call this a job hazard analysis, its required, but very few employers do this in any formal manner. And finally, the fines dont go to paying down the deficit, at least in North Carolina it is my understanding that they go to the local school district where the fine was levied. I wasn’t trying to be helpful-just like the government. That’s the point. oh yea we had multiple bag houses so the total fine was 518K$ on a company with 30 employees doing 2m annual gross revenue – never a loss of life – never a major injury in 15 years same location AFTER a 944,000$ upgrade. It is far to easy for an employee to say they did not know … I imagine this is possible for those newer to a trade, yet you often hear seasoned employees saying this after they have been documented as receiving training and demonstrating otherwise. It is hard to truly say this many accidents were attributed by not knowing as who is willing to admit fault if they had not followed procedures. To obtain truly unbiased information is extremely difficult, and the title of this particular story is far exaggerated to an extreme as it can easily be focused unfairly to a select few, and to create legislation based on a small sample would not benefit the greater good. Well, I hate giving the government more power because they seem to permanently mess up anything they decide to fondle, but here’s the deal where I work. If you ask for safety equipment, at first they just act stupid or plain old ignore you. If you show them the law, then they argue with you that the safety equipment is not as safe as the government says or that the employees won’t be as productive or comfortable while using the safety equipment. Then when an outside agency slaps them they get upset at us, the people who said we needed the safety equipment but could not get the approval to buy it. No I don’t like giving the government too much power, but I also don’t like the way businesses try to save a buck. Document everything, trust no one. Here is one example; I work for a large US bottling company. When I started 5 1/2 years ago they put me straight onto the safety committee. Quickly I started to pick up on trends such as cut hands and head injuries from falling product. I started bringing these things up with the safety department, they responded by making gloves available for purchase but not really mandatory. This was a small victory but still left a lot of work. As for the safety shoes and head protection I was told that safety shoes are more dangerous because if ran over, the safety departments opinion was that the persons toes would be cut off. Their opinion of head protection was equally stupid; their claim for head protection was and still is that no one will do the work if they have to wear head protection which seems quite odd to me that someone would give up a job solely because their employer makes them wear a hat. So once again I start chipping away at the hard heads of our safety department and managers, trying to convince them. After about two years of work I finally convinced them that yes gloves should be provided but they still thought that safety shoes were dangerous. About that time a TV show called myth busters publicly addressed the issue with a test of their own. After viewing this show I quickly downloaded it off the internet and provided it to our safety department who has now changed their opinion from that of which they are unsafe to that if they require them most of the employees would expect the company to pay for them therefore they will not require them… huh? To even make this more confusing, I found out a year ago that our company does provide safety shoes at other locations that we operate, but not at this one. Figure that one out? After 5 1/2 years of working here, this is as far as I have got. I have seen several others that have made a stink about things come and then go. Frankly there is only so much that I am willing to do at this point, I need to be employed. A small company could be put out of business through a heavy handed use of this law by OSHA. If the company is willfully negligent, and has a pattern of willfull negligence, then yes, it needs to pay dearly and even close if it’s a threat to the employees lives. However, apparently a company can be found negligent without it being willfully so and still be fined “to death” if the government wants to. All of the rest of the employees that are still alive and need jobs are suddenly out of work when the company is financially eviscerated by the fine. Another example of a government “throw the baby out with the bath water” plan. It is very naive of the website and others to feel that the only cost to a company when a fatality occurs is an OSHA fine. I think these individuals should spend some time in industry in a management position to know what they are actually talking about instead of developing a website or consulting. The OSHA fine is probably the cheapest part of a fatality and raising the fines isn’t going to change that. Companies are continually trying to improve safety through safety programs and training and yet employees not employers are resisting safety. Yes it is tragic every time an employee is killed whether on the job or at home, but my guess would be, based off experience investigating non-fatal injuries, it is not inadequate equipment or lack of training or awareness that causes injuries, it is the unsafe behavior of the employee. These behaviors are known to be at risk, because when management walks by the behavior immediately changes. Please don’t get me wrong, I am not saying that all accidents are an employee’s fault, but neither is every accident an employers fault, which is the position that the website and OSHA often takes. It is my opinion that OSHA is heading down the wrong path of pulling back on compliance assistance and going pushing compliance enforcement. Most OSHA inspectors have not spent time in industry and the way they learn how to do things right is through learning from those of us in industry that are doing the right things. But companies like ours are going to be less likely to work with OSHA under their new marching orders than would be if they continued partnering with companies to improve safety. The knowledge they get from industry leaders in safety is information they could be sharing with the companies that are too small to afford full time safety staff, but instead of helping these companies out before someone gets hurt, they would rather come in afterwards and fine them. This approach makes no sense to me and will hurt the nations safety performance overall. The fines are already rediculous. Unffortunately accidents will always happen no matter how much you train your employees and follow the rules to be safe. Although OSHA has done a very good job to increase safety and awareness, the excessive fines and penalties are destroying small companies and giving OSHA a bad name. You can go into any situation and find 100’s of violations/saftey issues if you go by every rule. I am sure if someone inspected any house/apt by this 16 deaths group they would also find 100’s or 1000’s of things which could be cited by OSHA if it were a work place/environment etc. OSHA is already fine crazy and they don’t need additional reasons. That being said there is a HUGE difference between a very serious dangerous situation which OSHA and/or an employees stops and getting a job site stopped because someone on the site doesn’t know OSHA’s definition of a competent person, which is probably the most common OSHA citation. Someone who has operated a machine for 30 years is a competent person, regardless if they know OSHA’s defnition, which is quite arbitrary and not very well defined. If an employer for example required an employee walk the edge of a tall building without safety protection and the employee fell off and got hurt/died, the employer CLEARLY committed a serious criminal act and the criminal courts, not OSHA, should deal with it. Employees also have to take responsibility when it comes to their own safety. You can not have an owner/boss watching over every single employee every minute of the day. However, employers that ignore safety concerns are a dangerous thing. No legitimate employer wants an employee to get injured or worse and this 16 deaths crap is spreading bad information and has a very narrow view of reality. If someone gets hurt/dies not only is it a very sad event, but, workers comp takes over, civil and criminal actions happen, insurance rates skyrocket. legal fees etc etc. I have never seen a company that was blatant about not having any safety systems in place because OSHA fines werent excessive and they would rather deal with that- i have seen ignoring parking signs, but no way in hell do they ignore OSHA rules. I bet this 16 deaths company doesnt have a clue what GL insurance rates are for construction companies, even ones with great safety ratings. Now take the big guys, Skanska, Turner, Bovis etc… they spend some much time an effort making sure safety is the #1 priority and that it is always done right. They have amazing programs, but guess what, accidents unfortunately happen on their sites too. Like most everything the U.S. government is currently doing, this proposed measure has little to do with its stated purpose. The real agenda seems to be gaining 100% control over all aspects of life, with the parallel effect of crippling the most dynamic economic engine in the history of the world. Like all enforcement tools given to regulators, this one will be abused. The economy fell apart because of greed and short sightedness … Maximize short term profit at all costs. Business will not police themselves. If they won’t who will? That’s why we need government safety programs. The current administration is trying to correct the negligence of the last administration. OSHA fines SHOULD be increased, and indexed for inflation. The last increase was nearly 20 years ago. Even the maximum fine for a Willful violation – currently $70K is simply pocket change to many large and even some medium and small sized companies. They spend more than that for a “corporate retreat” for their upper management and don’t blink an eye. If OSHA does raise fines, there are brakes built into the system to ensure that smaller companies aren’t put out of business by the fines — OSHA must consider the size of the company, its attitude, its willingness to abate, etc. If OSHA fails to do this, the OSHA Review Commission or the local Federal District Court will. Fines SHOULD hurt though … is that not the purpose of a fine, to punish, rebuke, and encourage a different behavior in the future? If a fine is merely a “cost of doing business”, why bother? Ditto for the “after effects”. Think about it; are you afraid of the fine from the speeding ticket, or the effects on your insurance for the next five years? Clearly, for most people it is the latter; most of us can cough up $250 for the fine. We’ve had an OSHA that has suffered under the yoke of the GOP — a party that is pro-business, and favors deregulation and smaller government. Compared to the 1970’s, the rise of the GOP in the early 1980’s was a breath of fresh air. However, there IS such a thing as too much deregulation, and that is where we are now. One earlier commenter lamented the fact that the DEMS now control both houses of Congress and the Executive. Hey, we had that for 8 years under Bush, only it was the GOP in control — and all they did was leave it alone or make it nearly impossible for OSHA to make new regulations or even enforce its existing regulations. They strangled its budget and actually shrunk the agency in terms of real dollars. The only reason we haven’t seen a flood of fatalities is because that is where OSHA has been concentrating its limited means to make a difference. We have not moved, by electing Obama, to a government that is running rampant. Rather we’re all like a bunch of 7th graders who have had a “sub” for a few days, and now the “real” teacher is coming back and there will be hell to pay for our behavior. If the Congress and the Executive DO overstep their bounds, the ship will right itself again at the next election cycle. Corporate America: Clean up your act! You’ve had a relative “free ride” for a very long time. Employees — Clean up YOUR Act! Don’t forget that OSHA can enforce both 5(a) (1) AND 5 (b) (1) as well! Even OSHA recognizes that Management and Employees MUST be involved to have a safety culture within the corporate environment. I love George’s comment on “root cause analysis”, in other words we will dig and dig until we find an offshoot, small “root” that can lay the blame at the employer’s feet. Since when has any worker in the U.S. had a gun to his head forcing him to work for certain employers?! This is stupidity that can only come from years of government indoctrination. My job used to be driving emergency vehicles at high rates of speed, I new the dangers and that’s part of the reason I enjoyed the job. It was a “MAN’S JOB”! What a bunch of sissies we have become in this country. ABOLISH OSHA!!! OSHA is one of those necessary evils. But there is no way in the world that we need to let them have the ability to increase fines. We were sited during the last two inspections for basically the same thing but it wasn’t our fault. The first inspector wrote us up for not having a flammable placard on our waste oil furnace reservoir. Having some on hand I put one on why she was here. The next time we were inspected we got wrote up for improper labeling because we had a flammable placard on the reservoir. We decided to fight the second citation and we were told it is up to the inspectors interpretation of the rules. So that means this could be a revolving door. Waiting to see what happens during our next inspection. We already have an agecy out there that has way to much power and out of controll tactics. They are known as MSHA. If you think OSHA is bad try dealing with these guys. It is not about safety any more it is all about creating revenue. I am a retired OSHA investigator, most the fatalities that i addressed, were in some part the employees part, the agency has never fined an employee, in fact they ignore sect 5b of the act. When the current administration came in , most in the S&H field felt that this was comming. If the agency felt that the fines were important then why do they reduce the fines typically 40% to avoid having to go to court. I have also seen numerious cases where the citions were wrogfully cited and it was clear the compliance officer was using the wrong standard. I have seen citations issued in direct conflict with the scope of the standard. This is another attempt to destroy what is left of the manufacturing, construction base we have in this country. It is intersting to note that a presidental executive order required all federal agencies to follow the OSHA standards, however upon observation it is noted that OSHA does not follow its own regulations and there is no one out there that enforces the agency. It is routine for a CSHO to walk up to the side of a trench when that alone is a violation for the employeer. The csho does not receive annual training as specified in the standard- the AD’s excuse them from it but for an employeer who does not they get fined. I’m not familiar with MSHA but I assume it’s a government agency and therefore I’m sure you’re right! I agree that it is all about creating revenue and justifying the jobs of these OSHA thugs. Redistribution of the wealth, “from each according to his ability to each according to his need”, this is what it is all about and it’s going to get a lot worse under the current administration. Industry needs to be licensed and various levels and OSHA needs to be trained – less subjectivity more vertical instruction. Osha is not bad and business good nor is OSHA good and industry bad, but OSHA is unchecked and unrestrained except by the power of the purse. If you created an all-powerful business in the private sector you would have the same problem of greed and corruption as they do in the Government Sector. An Osha office in Seattle fines $150 for use of a shop vac in a class II 2 location and an office in Peoria fines $120k for the same thing (yes I was sited $120k for using a shop vac in a feed mill). If there were a moratorium on fines for 3 years and an increase in inspections it would be like lowering taxes to increase government revenue. The amount of money spent in the economy to upgrade would do more than any stimulus program has or could and the moratorium would show the country and business that OSHA is not a blood sucking Government black hole. How to pay for OSHA inspections? License all business and use the funds to increase OSHA inspections. I know a flat license fee is vertical thinking, which is foreign to the feds, but I thought I would throw it out there. Canada just started fining workers earlier this year for not wearing required PPE during suprise inspections. The fines were not excessive, something around $25 US, but when you hit a worker in the wallet it seems to have more effect thatn explaining the dangers of not wearing required PPE. It may not “the” answer but it is a step in the right direction. MSHA is the Mine Safety and Health Admistration. Here again yes they are needed but they have way to much power when it comes to handing out fines. Their fines double and tripple every time you are sited for the same thing. Mainly gaurding and it falls right back into the inspectors judgement. You can have one inspector tell you he wants it like this and the next inspector comes right behind him and sites you again because he doesn’t like what he sees. One other note about OSHA is that they no longer offer courtesy visits. They are taking that money to help ramp up the enforcement end. It’s not about safety at this point. Hold on too your pocket books! This is to those of you who speak politics and safety in the same breath and think you know the answer when you’ve probably never really had a tough job where you had to work or maybe make a profit or have employees to deal with. You can sure tell by the responses who’s for big government and more regulations. They always say the same thing Employers and Big Businesses are Bad Bad people. God forbide a company be successful and making money. And I almost forgot the Big Business guys are the same guys who EMPLOY EVERYONE for crying out loud. If it wasn’t for big business most of us wouldn’t have a job for God’s Sakes. If government keeps it up we’re not going to have one damn factory in America. How’s that for big government and regulatory control. How’s that working for you. I can see you don’t know the history again throwing out the bad GOP. The H. Bush and Clinton years were good for OSHA. I was with the agency during that time period. H. Bush implemented the big push for raising fines and strong Educational Programs. Clinton carried the torch onward with the higher penalties and the strong educational and training programs we see today like the VPP, Compliance Assistance, On-site OSHA Consulting, etc. big business is not in business to have unsafe work environments that result in accidents and fatalities. I know, been there. Accidents, fatalities, etc. only results in lawsuits that can costs millions of dollars and a bottom line impact that this “BIG BUSINESS” guy doesn’t need or want. They know it’s cheaper to be safe. The money for Federal OSHA fines go into the general treasury of the United States and it’s appropriated along with other monies to go to whatever they feel like. So either directly or indirectly the money is used to fund OSHA, EPA, on and on. It’s just more money for the government to throw away or should I say give away under the current administration. For those of you who say raise the fines, not only shows total incompetence but shows your views reflect a political position and not a successful conclusion to reducing accidents and fatalities. 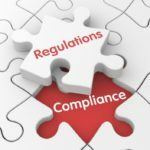 OSHA has many faults but to eliminate and I mean eliminate compliance assistance and educational programs is stepping back in time after these programs have done fairly well in helping employers with their compliance issues. Hell, each area office hired a GS13 Employer Assistance Manager during the first Bush and Clinton Administrations. I talked with some of these people this past month and the GS13 position is being eliminated and these Employer Assistance Professionals are being put back into the field as part of the enforcement team instead of the employer assistance team. You have to admit….totally unbelievable. You blame the GOP my GOD this administration is on a fast track backwards for only one reason. Big Business and Employers are evil evil people. Even though that’s where all of us work everyday of our lives and exactly what we need right now to put America back to work. Oh yea. What the hell is wrong with being pro-business and having a smaller government. Why in the world would you want more government intervention in your life unless your lacking in so much self-esteem and confidence that you don’t want anyone else to be successful and make money. Let’s see, Medicare….a disaster, Medicaid…a disaster, Social Security….a disaster, on and on. Name one thing or program the government ever managed where you can say,”boy, they do that well”. So…let’s give them health care. Just so the government can grow and grow and hire 100’s of thousands of government employees to push paper and have more control over our lives. And too the guy a few writings back, you say we’re like a bunch of 7th graders and the Teacher is coming back and now it’s hell too pay. This is a perfect flat out response from a stauch democrat who feels big government can fix everything. You make it sound like “Obama” and that’s exactly what you mean is the principal and we’ve been bad girls and boys. Oh my God. Gag me with a spoon. Anyone who thinks big government and especailly the Obama Administration is on the right track with anything has got to have their head examined. The younger generations must believe in the history of the United States and what made this country great. Always reflect on past administrations and what was good or not so good and learn and grow from that. Some of you think corporate America needs to clean up their act. Well, the FACT of the matter is the United States does more than probably every country on earth. I just read an article on the top 20 most polluted cities in the world and the top five most polluted countries and you don’t see America in any of these lists. China, Russia, Mexico, and numerous asian countries top all of these lists. So who’s the big bad country? Not us. You should be thinking of ways to get these other countries to comply with just ONE requirement to control emissions and protect the environment. The pollution is so bad in Russia and China that the lead and mercury counts are now circling the globe and found in the soil across Alaska and Canada. The crops in many asian countries are so high in lead and other contaminents that the crops are all dying. We are not the bad guys here people. If anything we should get all of our industries back into the United States where there is much more control of emissions and pollutants than any of these other countries. Oh well, enough said on all of this so good luck to all of you in your safety careers and I will continue to work on some way of retiring and making bird houses for some extra money. That is of course if EPA and OSHA doesn’t show up on a drive-by inspection and cite me, the home owner, for not having a filtered exhaust system, not wearing the proper cartridge respirator, not having a msds readily available on the paint and thinners, and not having the emergency phone numbers posted on my work bench. when we were sighted for issues we had no knowledge on we needed consulting help which we could not afford once osha hit us for huge dollars on a small company in a down economy -that is when we needed free osha consulting so we could understand what was needed, instead we are no longer eligable until our case gets closed. While in the thows of a $5k per month for 16 month fine (on a company making half that in profit) we laid off 10 people and were trying to get to the end of the fine so we could get free osha help – instead they hit us with more fines a few months later and so now we are down from 50 to 20 people and going to court – still not sure what osha wants. This idea of industry being a bunch of 7th graders and there is hell to pay is absurd. Anyone with any management experience realizes that management by fear does not work. It only works while you are looking. The true way to make a difference is through working together on the same team towards the same goals. OSHA is unfortunately building walls again between itself and industry. All the benefits that have come from OSHA working together with industry will soon be lost. It is tragic that this is the road that OSHA is heading down. This is another example of government employees that have no real world experience thinking they know better than the folks that live it everyday. You really want to make a difference, start issuing fines to employees as well. Like is pointed out above, when an individual speeds, they are fined. The maker of the car isn’t fined. The drivers education teacher that trained them isn’t fined. The municipality that built the road isn’t fined. The driver is fined, because that is who performed the unsafe act. He/She was given all the training and tools necessary to drive safely, but they choose to act in an unsafe behavior. I’ve been in the safety compliance business for 15 years. Obviously, the goal for everyone is reducing on-the-job injuries and deaths. But what happened to a little common sense? One thing for certain is that this administration in concert with Andy Stern of the SEIU are laying the path for the destruction of non-unionized businesses in this country. Increased financial and criminal fines are just another tool to advance their goal of eliminating the roadblock to a worldwide unionized workforce. Andy Stern, who has visited the Whitehouse 22 times, has a slogan, “Workers of the world unite!” Once CardCheck is passed and more non-unionized business is destroyed, OSHA and unionized labor will have a relationship closer than Bogey and Bacall. *Correction: OSHA and unionized COMPANIES will have a relationship closer than Bogey and Bacall. I found it interesting that the link right next to the headline was about a drunken worker falling off a tower after his supervisor told him to put on fall protection. The drunk worker refused and later fell into a safety net. I don’t recognize ANY “employer reckless negligence” in that report. As pointed out in other posts, employers are not always the problem. Some of the injuries and even deaths are self-inflicted, poor choices made by the workers themselves, in spite of the safety equipment, warnings and safety training provided by employers. In Canada, unsafe workers are cited. I suggest that would have an immediate positive effect and reduction of unsafe acts. Can anyone give me a true example of an accident? I don’t think they exist. I believe that every “accident” can be traced back to a “human error”. There is not one of us who has posted here, or who has read these posts that can say we have never violated a safety regulation, or have never said to ourselves “that was stupid”. There is a chain of events behind every “accident”. I agree with those who say it is high time we started holding the “person” as accountable for their actions as we currently hold the company. No matter how many safety classes you have, or how much you spend in training, there will always be someone who is having a personal crisis in his or her life, and when that happens, they are not paying full attention to their job and things can and will go bad. Bigger government and bigger fines are not the answer!!! Rick makes sense except for employers like mine. (For those that did not read my previous post I work for a major US bottler) Take for example our route trucks that deliver the product. Our drivers go out with the trucks stacked to the ceiling with product and no way to secure it in the bay. When they get to the first stop they find that the product has tipped over against the door by several of the bottles hitting them in the head when they slide up the door. Now the company claims they cannot give them straps or load lock bars because they will just loose them. They won’t provide hard hats because they say they would be too uncomfortable or not pleasing to the eye. So here’s an employee that desperately needs a job, faced with no safety equipment from his employer and the choice of quitting or occasionally getting hit in the head… Most choose to get hit in the head once in a while so they can put food in their children’s mouths… at least until they can find another job. Bill Replies: None of that will happen UNLESS you are defined as an “employer” under the OSHA regulations or as a “polluter” under the EPA regulations. As a one person shop, OSHA can not inspect or cite you. Now, once you hire a single employee, it all changes. EPA is concerned with your output. As a single person hobbyist, you won’t have any problems. Enjoy making the birdhouses! I stand by my earlier post … OSHA fines are way too low. I too lament the decline of OSHA’s partnership programs — they did work, but only with those employers who were going to fully implement safety ANYWAY. You MUST have both the positive reinforcement (partnership programs) AND negative reinforcement (fines) to prod employers like the one described in “Mixed Opinion’s” post. Now …. back to my 7th grade analogy … the point of that was not to say that “Teacher Knows Best” but rather to say that “the student’s KNOW what is expected of them” … and with the positive reinforcement emphasis of OSHA in the past 8 years — many of the students have not been performing up to expectations. Now the “Teacher” (OSHA under the current administration) is back and is going to enforce the rules. Those who have been doing it right …. have no problem. But those who have taken advantage of lax oversight … like Mixed Opinion’s employer … have to know that there is, as I said earlier, “hell to pay”. To those who are complaining that they have been cited and don’t know what OSHA wants … our system of government provides a very clear path of adjudication. But you have to know how the system works, and how to interact with it. If you don’t, seek professional help (i.e; an attorney who specializes in administrative law, particularly OSHA). There may not be one in your town, but most major cities have law firms that specialize in this practice area. Going it alone for anything other than an informal conference is like taking a knife to a gunfight. Yes, legal fees are expensive, but so are fines. I’ll close this the way I began it, with a call for higher, much higher, potential OSHA fines. Employers with good safety programs have nothing to fear. Employers who don’t either need to come around or close their doors. OSHA is only there to help you make the decision. I AM a safety professional, in private industry, and I can prove that safety pays at about 3/1 and makes any company MORE competitive in the marketplace. Mixed Opinion — If one of your drivers gets hit on the head, and gets hurt, can he/she afford the health care? Hey Mixed, I understand that there are some bad employers. I feel quite blessed that I have worked for a great small company for the last 23 years. If I worked for your company, I would find a way on my own to keep bottles from smacking me in the head. I am not being critical, but that is what I would do, and I would make my protection system portable so I could take it with me at the end of each day. I would continue doing that until I found another job. We have enough brainless people in this country. We call them Congressmen, Senators and President. Our government does not provide a clear path for anything. If you feel that way, you have NEVER read a regulation in your life. They make it gray on purpose. Heck, I bet you even understand the new health care package, all 2000 pages of it. Clear as mud. You can’t win when OSHA is judge, jury and executioner. Whom do you propose anyone takes their argument to? Having dealt with a different government agency, I sought the help of an attorney. It took right up to the point of my first bill from our attorney (a specialist) at $485.00 an hour to realize that the cure was worse than the disease. I met with a lawyer (from this government agency) and he offered to cut the fine in half and I agreed. The problem was that the fine was bogus to begin with, but where do you go to fight it? It was an inspectors interpretation of the rule and we were screwed. To fight it in court would have been much more costly. So it is a lose lose situation. Less government, less taxes. Keep saying that over and over again and it might sink in. Workers comp covers on the job injuries. My employer appears to be comfortable paying the rates? Some of our drivers have taken steps on their own, Some of our driver I think got hit too hard already to think of that. I personally supply some of my own safety equipment to make sure I can return home at night to take care of my family. what’s next? Federal enforcement of a single regulation over all the varous states never works – and since the feds can’t make a clear standard with a simple and standardized fine system, may be we should go global and let the UN monitor it…. oh wait they are already going down that path. See allfeed.com “connect the dots”. Reminds me of a story I was told when I first started trucking )in the mid 70’s – A farmer takes his pickup and buys a load of mellons for $1.00 each and sold them for .75 each. Obviously a loosing deal. When the farmer was asked how he was going make his little mellon trade profitable he said “buy a bigger truck”. This is the way Federalized programs work. If our Federal government can’t fix Osha then lets just go Global. Surely that will fix the problem. That is what being an adult is all about. If there is a problem, you can either keep getting hit in the head with a bottle, or take steps yourself to make sure you get home each night without knots on your head. That is the difference between us and the liberal whiners on here who think the government needs to wipe their butts for them. We get off of our butts while they sit on theirs and whine and complain, waiting for someone else to fix it for them. Don’t be a know it all. My God I worked for OSHA for 13 years. I know I’m not currently regulated by OSHA as a one man show at home making bird houses. That was in what…OSHA 101. What I’m trying…..to say is the way this current administration is changing OSHA into a “police type” enforcement agency and me making bird houses at home will eventually be under OSHA jurisdiction if the government has anything to say about it. What we need is an administration that can be logical, reasonable, practical and fair in their enforcement. Oh yea, what am I saying….that’s never going to happen. Hey. I have a suggestion….the OSHA state programs should at least be equal or more stringent than Federal OSHA which none of them are. Most all of them are a joke. 50.00 fines are still the standard procedure in most of these state OSHA plans. That’s what there supposed to be by law but believe me they are not even close. Why OSHA doesn’t mandate or get some kind of control over these rogue states is beyond me. And for you federal states just back off a little and continue with the VPP, compliance assistance, training and educational programs that have been working just fine for over 15 years. Now…back to designing a nice bird house for my neighbor. Wait a minute….I think that’s an OSHA guy across the street in a maple tree with binoculars. Employees should NOT have to take personal steps, as has been suggested to Mixed Opinion, to protect themselves at work — there is a need for and a place for reasonable gov’t regulation. Part of that (existing) regulation is that employer must provide a safe workplace. The entire point of the thread is that OSHA’s efforts have not been cutting the mustard — clearly the “16 deaths per day” video is calling for draconian measures and is biased — but I’ve never endorsed that video or those measures. Simply a call for higher fines. I’m simply voicing an opinion that if the fines were higher, businesses that currently do a cost/benefit analysis on the cost of fines vs. the cost of compliance would have to re-analyze what they are doing. No one is in favor of jack booted thugs putting business out of business in favor of arbitrary and capricious enforcement of regulations that have no clarity, precedent, or standardized understanding of how they are to be enforced. Wanting employees (and myself as one) to be able to go home at the end of a day in the same shape I reported to work in is neither liberal nor conservative. Giving employees power (through OSHA) to see that all employers in the nation are on a “level playing field” is neither liberal nor conservative. When fines stay static as inflation decreases their power, the playing field begins to tilt on one direction. Lets re-level the playing field. Lets also NOT tilt the playing field in the other direction. Terry — good luck on the birdhouses. I agree with your last suggestion on standardizing the state programs … that lax enforcement is yet another example of what I’m bringing up… A $50 fine does nothing. It means I can’t take the kids to McDonalds for dinner tonight. What is the maximum fine that OSHA can impose right now? I found a $500,000.00 maximum per violation, but not sure the information is correct. If it is, isn’t that enough to entice a company to become more compliant? Also, BP just got fined to the tune of 87 million dollars. Who do you think is going to pay that fine? The consumer! Just like passing new laws, what good are they if we don’t impose the current laws that already do the same thing? Also, OSHA is just one government agency. Once we give them unlimited power, the rest will follow suit. Employers must provide a safe environment. The employees, as a condition of employment, must comply. It an employee does not comply there should be corrective action. Safety shortcuts will cost more than implementation of safety programs, as Bill says. Also, I agree with Bill’s last statement. A company that stresses safety, with rules and programs in place will have a more disciplined workforce, which will lead to more efficient, more focused workers, producing a better product or service. Interesting reading. Are we worried that OSHA is becoming too powerful or we just want to do our thing? Everything in life has rules; starting with church and working down to paying our taxes. So what is the problem? Our safety relationship between the employer and employee is lacking. We need to be competitive, productive and provide a quality job. Our workers, English or Spanish speaking, are giving us what we ask and even more. If the results are good, there is a deafening silence; we are employed and the products are leaving the facility. Life is good! OSHA: An organization that has good and bad inspector, just like the people you employ. I have a General Industry and a Construction Standards book – Who knows everything in this book? Not you, me or an OSHA Inspector. Some of the standards are a bit out dated but they are the minimum requirements that we employers “shall” follow. We complain that we can’t follow the minimum safety requirements. What assets do we need to protect? Without the human asset, we have nothing, protect it! Bill: Do you want to see good State run programs, go to North Carolina, Oregon and Washington State. These programs ARE equal or more stringent than Federal OSHA. Bill stated that, “Most all of them are a joke, $50.00 fines are still the standard procedure in most of these state OSHA plans.” Bill, ensure that you have your facts correct, the minimum penalty for a serious violation is $100. If you don’t agree with the inspector, request an Informal Conference or if you know you are correct, take them to court. I had to laugh at Ric Cruz’s comment “Bill, ensure you have your facts correct, the minimum penalty for a serious violation is $100”. OK, so now I can’t take my kids to the movies AND McDonalds tonight! Looks like we’ll have to grill burgers at home and play Sequence! Interesting that the “OSHA Top 10” are consistent, for the most part, year after year after year….. I wonder what the inspector will focus on when they get here. Hmmmmm. Tim — are you serious about licensing punch press and forklift operators? Because as an analogy truck drivers are responsible for the condition of their rigs? And this will work because there are no trucker deaths, injuries, and incidents, right? (Well, the TRUCKER has a better chance of survival than the car drivers they hit, at least). So osha comes in, tells the operators they they can all go to jail if they lie, then ask the question “have you ever run an lp truck in the production building” The guy says yes and I get the fine. If the driver was licensed he would either say no or get the ticket. Just like a Commercial Truck driver. A fork truck operator should be held accountable for remembering and following his training. it always amazes me that there are such diverse opinions on the subject of safety, mostly regarding whose job it is to ensure that workers follow safety protocol. our society is relentlessly looking for someone to villify and blame instead of someone to follow and trust. if our government agencies were actually as competent and caring as they like to have us believe they are, then they would send out an OSHA officer to every job location and have them make sure that nobody ever gets injured or dies while performing a job. the bottom line is that while there are some caring individuals who are part of the government agencies, their ultimate job is to generate revenue. no doubt there have been some improvements in workplace safety due to these agencies, but we are living in a time where everyone thinks they are entitled to become wealthy if they become injured, whether the activity they were involved in at the time of the injury is voluntary or involuntary. people simply no longer instill in their children, the integrity to take resonsibility for our own actions. the world is in a sad state for sure, and this new policy demonstrates that. i just wonder how much longer employers will continue to take these financial assaults and keep paying the wages we insist are necessary to survive? how will they survive? My husband was killed on the job because of blatantly unsafe conditions at his company. They only got a fine of less than $3,000 and had to post the violations in the room where he was killed for a total of three days. I would fare to say that OSHA policies and procedures, as well as Cameron’s (the company), are extremely questionable. I misspoke – the fine was actually $6,300. Pathetic. Anyone can walk off a job if they don’t feel safe. There is no reason for a person to do a job and get killed for it. How can the boss know what each guy is doing at all times? Where is the personal responsibilty for people that do stupid stuff and suffer for it? Why fine at all? Work safe and be safe, and if you are asked to do something unsafe then don’t do it. So why do people keep getting hurt? Because accidents happen, and I am sorry for all those that die accidently in their tub, in their car, or at work but people die by accident… everyday…. If the feds try to go to zero deaths at work they will bankrupt the country and all its inovation and industry…. guaranteed. Easier said than done, Tim. What do you do for a living? My husband went to school part time for nine years while working full time at a dead end job so he could achieve his goal of becoming a mechanical engineer. He got his degree (when I was pregnant with our second child) and almost right away got this wonderful job. It was his first engineering job with a prestigious company – an incredible opportunity. We were so proud. He was there less than a year when he was killed. He was providing for us and our two babies. Yeah, accidents happen, but there are some that are so preventable, like his, had his company stepped up and did what they were supposed to do in the first place. you have equal odds to die of food poising as you do to die at work so skip lunch and double your odds of survival at work. oh yea and for your guys at work taking smoke breaks… 753 times more likely to die from that than dying at work. so I guess the answer is pick your poison and use the billions spent on osha to pay off the debt. Great idea, except… our company fires the people that walk off the job. In my state you can fire anyone with or without cause, with unemployment between 10 and 18 percent currently in most states (this number would includes those who have given up looking for a job due to being unemployed so long) this isn’t a good time to be looking for a job. Don’t get me wrong, I hate too much government meddling but at the same time, some of us need safe jobs. i think Tim’s point is being completely missed here. if you burn yourself with bacon grease cooking breakfast, who do you blame? if you stump your toe on the coffee table who do you blame? if you close your finger in the car door, who do you blame? at what point do we accept responsibility for our own safety? if my employer tells me to walk out on a plank 60 feet above concrete with no safety net, i don’t give a rip how much the job pays, how loud mouthed the boss is, how many times my peers call me a wimp, or how hard it is to get another job, i’m not doing it……that’s my choice, and that’s the point. What if you live in a State where you can’t get unemployment if you walk off the job, you have a few children and a wife that needs housing and food and unemployment is in the double digits? Don’t get me wrong I hate the government going overboard, but if we make a law that an employer needs to provide safety equipment because they otherwise would not, then we also need someone that can hold them accountable by enforcing that law. It’s kind of like our laws on homicide. Back in the old days, if you started a gang and went around killing people, up went a wanted poster, law enforcement and the local citizens tracked you down and if found guilty we then gave you an opportunity to show off the new neck tie we gave you on the front steps of the capital… These days you start a gang and kill a bunch of people, we track you down send you to trial where you spill all your saddest stories and get off with timed served and six months of counseling… See my point…we’re not enforcing the laws we currently have, if we make a law, it should be enforced. Yes many accidents could be avoided by using a wee bit of common sense and if an employee is acting recklessly they should be disciplined or fired. But if an employer is knowingly sending you into harm’s way without the means to protect yourself, they should be held responsible for all of the consequences, maybe a fine if appropriate or even homicide if deemed appropriate in a particular case. It’s really quite unfortunate that some employers have tried so hard to make a buck and some employees have cut so many corners, that we have had to rely on the government to step in and provide us with basic safeguards. If businesses and employees both would just step up and do what is right in the first place, we would not need to rely on the government to do our job. just for clarity, i’m not saying employers bear no responsibility to provide a safe work environment, i’m just saying that in my opinion the employer is often villainized in spite of completely reasonable efforts to protect workers. nobody can foresee every variable in every work environment, but i work with folks who i have sat with in training over and over and over again who are walking behind my forklift every time i look back with the back up alarm blasting, and people who blow off machines with no safety glasses on, and people who change propane tanks without gloves and shield……i’m just bothered that businesses often pay the price for people who refuse to follow the rules, and from my experience, those are always the first ones to yell lawsuit. if there were real justice, the coworkers of people who don’t follow safety protocol would be able to, by majority vote, eliminate them from the workplace to help maintain a higher pay level and safer environment for those of us who do follow protocol.